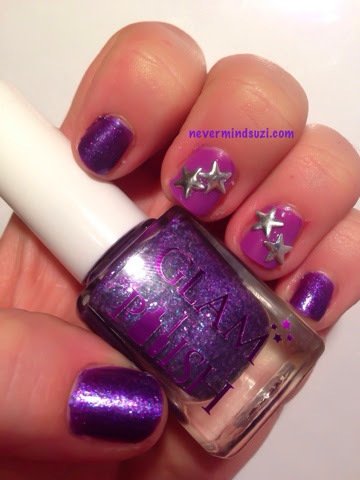 Today I'm trying another of my Glam Polish prizes. Here I'm wearing Diamons on the Inside. A purple jelly packed full of blue, pink and purple glitters. If my painting skills were better this would be a 1 coater!! 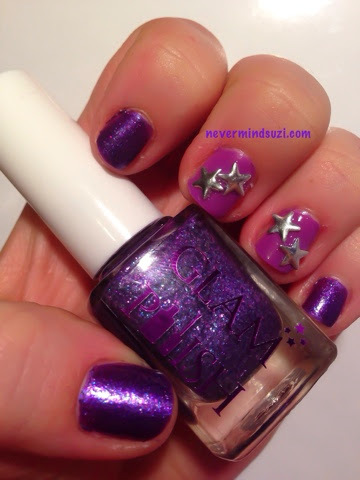 I'm wearing an unnamed Minnie Mouse purple on my accent nails with some silver star studs. This is a true beauty! !